Plummeting Brent oil prices are putting pressure on North American shale, which has sunk hundreds of billions of dollars into investment, and could soon come crashing down. Tempted by big returns, shale companies have borrowed more than $200 billion in bonds and loans, from Wall Street and London, to cover development and projects that may not even come to fruition. Oil producers' debt since 2010 has increased more than 55 percent, and revenues have slowed, rising only 36 percent from September 2014, compared to 2010, according to the Wall Street Journal. Fracking, the process of hydraulic fracturing and horizontal drilling on land is much more expensive than the average water-based oilrig. However, over the past years, it has become relatively cheap and fast. Energy companies, eager to get in on the riches of the American oil boom, have been borrowing money faster than they have been earning it. On Sunday, the first shale company filed for bankruptcy. WBH Energy LP, a private Texas-based drilling group, filed for bankruptcy after saying that their lender was no longer willing to advance money. The company estimates their debt between $10-50 million. There are hundreds more in the US alone. 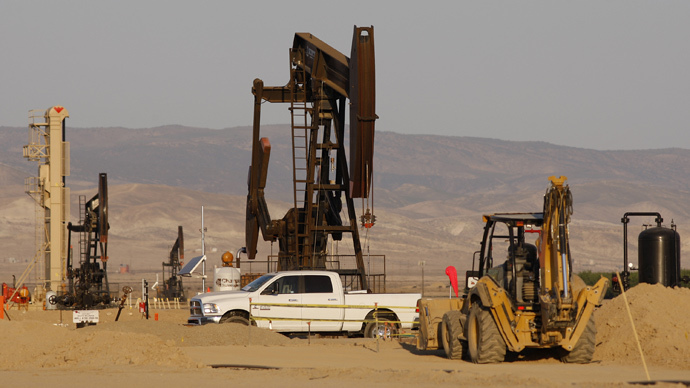 Analysts believe North American shale needs to sell at $60-100 per barrel to break even on the billions of debt accrued by the energy companies. Indebted companies, fearing bankruptcy, may therefore be forced to keep selling oil, even at a loss. One way to avoid going bust is to merge, which is what many companies already have on the negotiation bloc. “We’ve already seen Baker Hughes and Halliburton agree to merger, and these were two titans that used to compete head to head,” Ed Hirs, managing director independent oil and gas company Hillhouse Resources, told RT. “They’ve decided they can’t survive separately, they need to combine,” Hirs said. The Texas-based driller believes that lower prices and major mergers will hinder progress in the industry. “We will see a loss of tech. innovation and a loss of competition in the oil service business,” Hirs said. 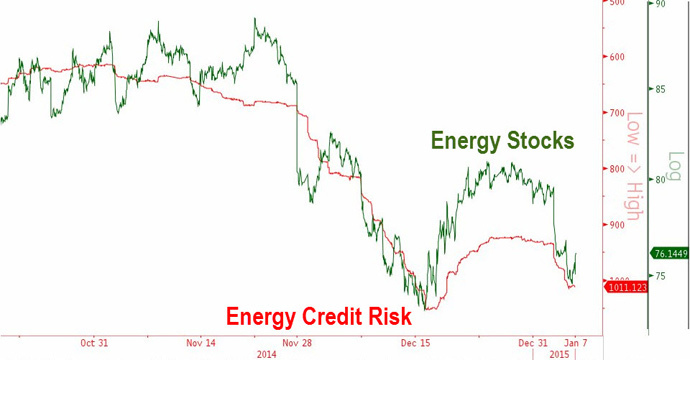 Energy companies that can afford it will cut production, but this will prove more difficult for smaller companies with larger debt hanging over their balance sheets. Oil prices lost more than 50 percent in 2014, and have already dropped 10 percent in 2015. Futures dramatically dipped when the Organization of Petroleum Exporting Countries decided not to curb production at their November meeting. Some experts believe the decision not to cut production, which would have alleviated oil prices, was a direct strategic move by the cartel to reduce the profitability of North American oil fields, from Alberta to Oklahoma. In the past five years, the US has moved from being one of the world’s biggest oil customers to the largest producer, even overtaking Saudi Arabia. This ‘bubble’ of debt could come crashing down on oil companies, as the housing bubble did on the sub-prime mortgage industry in 2008, which sparked a crisis in global financial markets. “It begins in one place like fracking in North Dakota or Texas, but it very quickly engulfs the rest of the world. In that way, its very similar to what happened in 2008… when billions of dollars were lent to people to buy homes they couldn’t pay off,” economist Richard Wolff told RT. The industry expanded rapidly, as the method proved capable of extracting oil and gas faster and easier than before, albeit with a certain environmental cost. Fracking can increase seismic activity, as well as penetrate water systems. Many states in the US have followed European nations in banning the oil extraction method.